John C Mozingo,III | Mozingo Real Estate specializes in real estate on the Gulf Coast in Gulfport, Biloxi, Pass Christian and Ocean Springs. If you are looking to buy or sell a home, please call us at (228) 896-3400. John, the Vice-President of Mozingo Real Estate & Auction, Inc., is a lifelong Gulf Coast resident and grew up in the real estate business. He attended Missouri Auction School in 1987 where he learned to be an Auctioneer. He began his career in 1989 with Mozingo Real Estate & Auction, Inc. and became licensed as a Realtor in 1993. Also in 1993, he obtained the Certified Auctioneer’s Institute Designation at Indiana University. John is a licensed Realtor, Auctioneer and property manager. Although he is not currently active as a real estate appraiser, he does hold this license and expertise. He specializes in the sale of real estate at auction and enjoys working with buyers and sellers for income and/or rental properties, lands and acreages, investment properties and foreclosures. Because of his appraisal background, he has extensive knowledge in soils, mapping, topography and valuation. 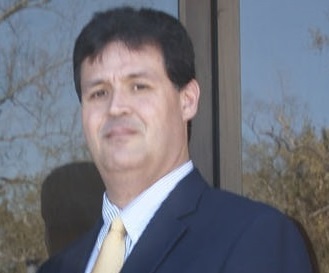 He is a member of the Mississippi Association of Realtors, National Association of Realtors, Mississippi Auctioneers Association and National Auctioneers Association.